I love Music. Your photo is funny and pretty. 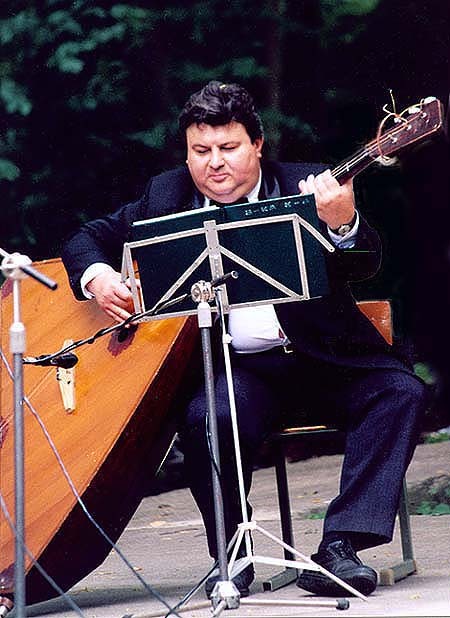 Both, musician and instrument very "corpulent". A very good Portrait. Nice photograph, My congratulations, Pavel Burdo. Налицо - стиль, авторитет,вдохновение .